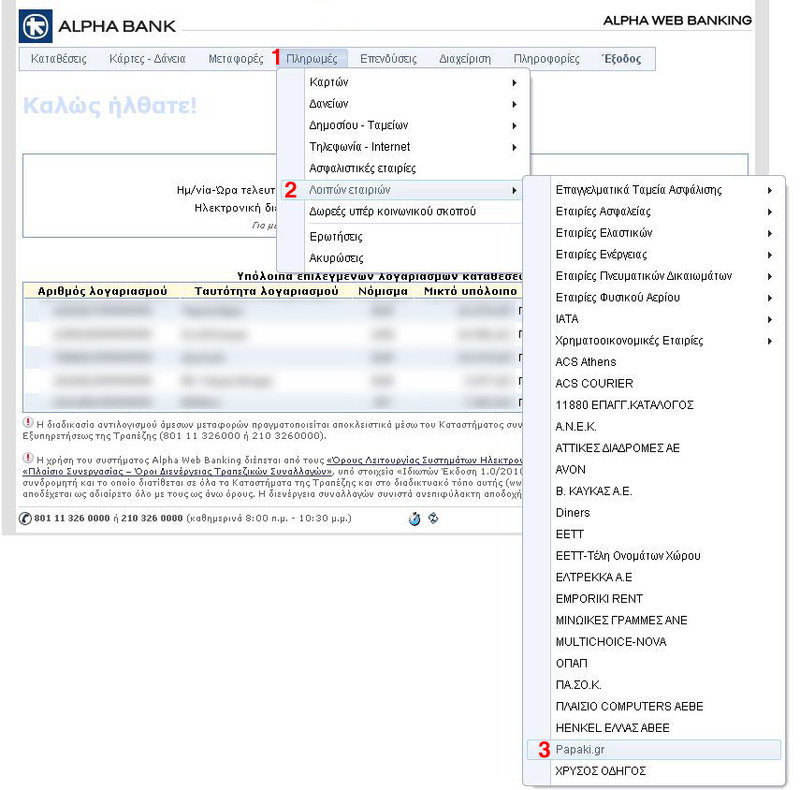 How do I make my payment through Alpha Bank web-banking? In order to make your payment at Papaki via web-banking, use the Electronic Payment Code, which you will find in the ordering email (or in the Control Panel if it is a service renewal / upgrading). 1. 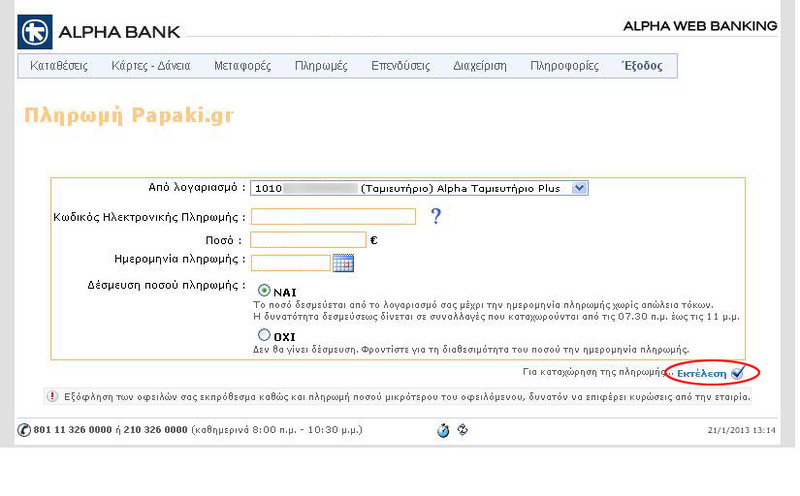 Login to Alpha Bank web-banking. 2. Select "Payments" and then "Other companies" and "Papaki" sequentially, as shown below. (c) the date of payment. Finally, choose whether you want to block the amount until the payment is made and click "Run". 4. Check the information you have filled in and if it is correct, click "Run" again. 5. In the last step, the entry is completed and your payment information is displayed in a table. Where can I find the E-Payment code? What are the banks and payment methods I can use, if I choose to pay using the E-payment code? How do I make my payment through Eurobank web-banking? How do I buy Papaki credits? Are we going to sign a contract? When will I be able to use the services I paid with bank deposit? What is automatic billing at Papaki? What do I do if I deposit a wrong amount of money for my order?